Pedal Greece, powered by 48×17 cycles, is an all-inclusive fully guided road and gravel bike holiday service. We believe that riding with friends is better than riding alone, so for our bike trips we commit ourselves to creating an atmosphere of easy fun and camaraderie. We believe in fast riding and slow living. This is why our rides are always a challenge for experienced riders but never a survival match. It is also why we work closely with local makers, riders and communities to give you a true sense of the places we visit. 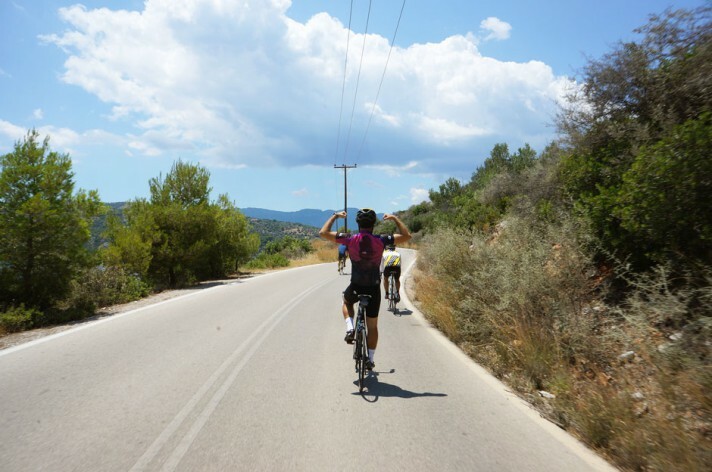 Come ride a variety of amazing terrain, immerse in Greek culture, feast on local delicacies and relish your days in the sun.